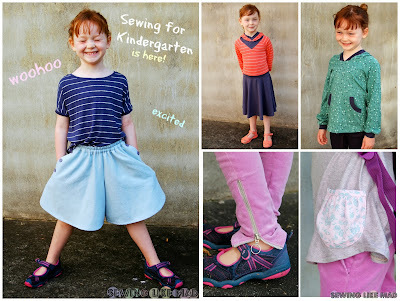 Sewing Like Mad: Sewing for Kindergarten - Week One + Flickr Features. 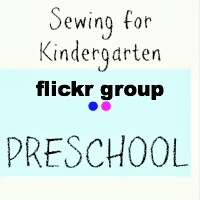 Sewing for Kindergarten - Week One + Flickr Features. What an amazing first week. I must say Sewing for Kindergarten have exceeded my expectations. (And you know I always have high expectations about everything - even though I sometimes pretend the opposite, ha). Not only have the contributions been amazing but you have all received it so very well. 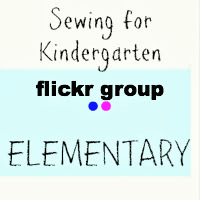 The Flickr Groups have gotten some amazing new school clothes added to them. 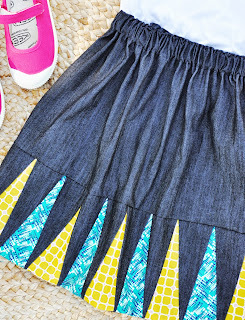 Teri from Climbing the Willow have made this amazing AMAZING color block dress for her daughter Mae. I mean, WOW! I want one too! You really have to go check out the Flickr Group because Teri have uploaded four outfits and they are all really really fantastic. 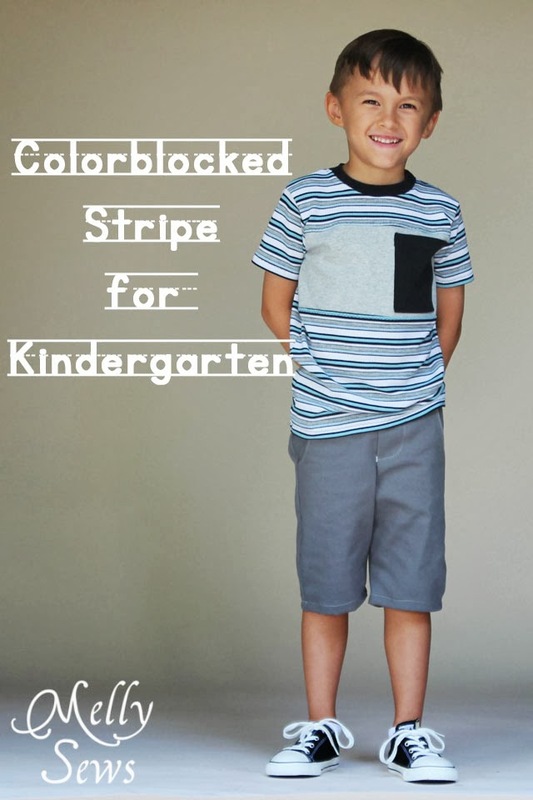 Shelly have made these great blue W shorts (Blank Slate Patterns) for her son. See the post on her blog Sew Shelly Sew. Okay, last feature from the Preschool Flickr Group. Tasha from I Seam Stressed (I really wish I had come up with that name...love it!) have uploaded a ton of amazing things but these two are my absolute favorites. The top might not be on the top of the school clothes appropriate list but I just had to show it. So beautiful! It is a 'flipped' Oliver + S Roller Skate Tunic. 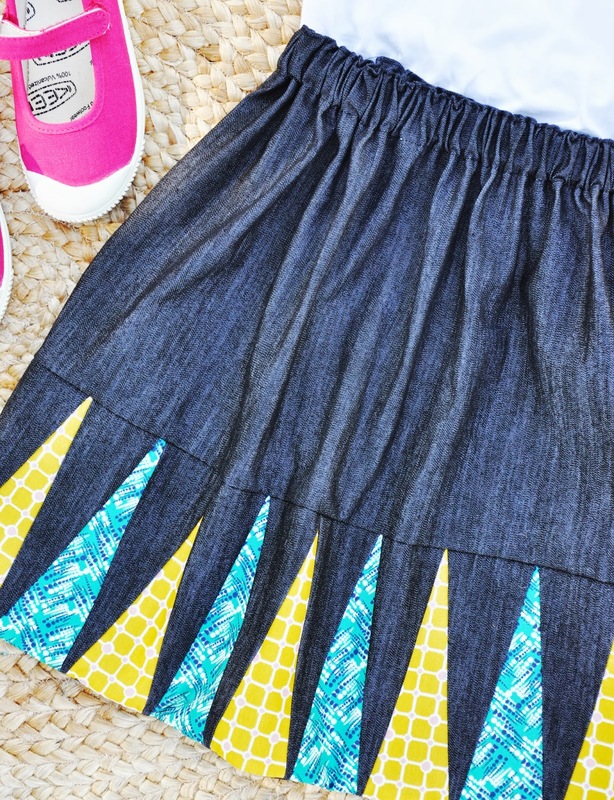 The amazing knit skirt is of course a pair of 'flipped' Bubble Shorts from E&E Patterns. Great job Tasha! In the Elementary Flickr Group I found this great back pack from Jane from the blog Buzzmills. The back pack is made from a Made by Rae-pattern. 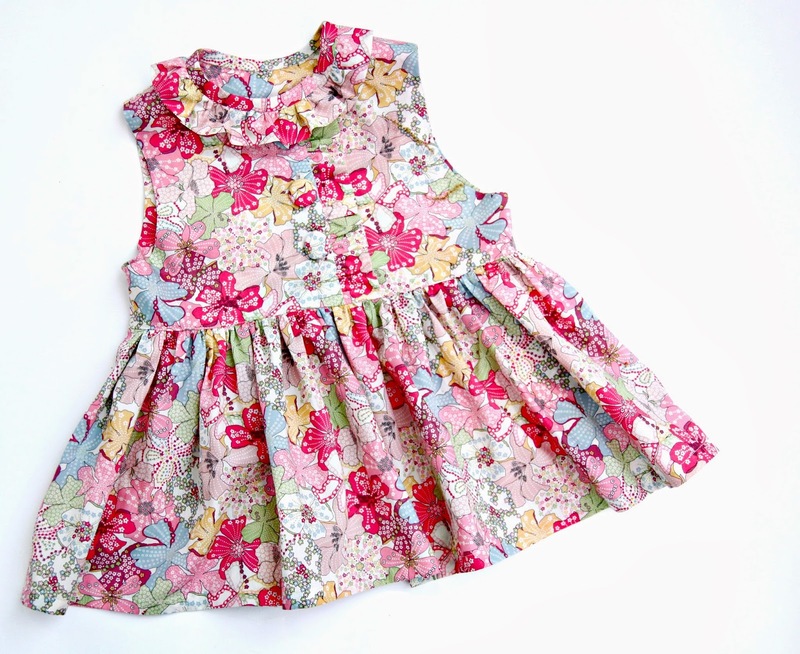 I love the combinations of fabrics and it is obviously well made. Look at the even piping - yes! Looks like royal blue is a trend for the boys - fine with me, I love that color! And they look great in it! 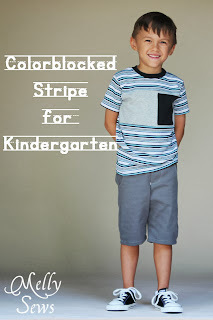 Kristin from Sunny Sewing have made this t-shirt from a Ottobre pattern for her son. 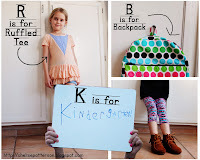 Simple yet effective...perfect school clothes! The middle/high school is not nearly as fully stocked as the preschool and elementary groups. I am not going to pretend I expected it to be. When kids reach a certain age Mommy made clothes is not exactly considered cool - I get it! I have heard a great advice about doing it with them. So they decide pattern and fabric. Kind of logic I guess but I thought I would just put it out there. 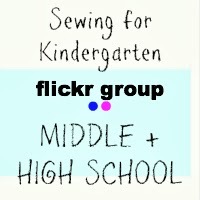 I will also recommend checking out this great blog Sew Cool for the Tween Scene that has some amazing inspiration and tutorials for that age group. Remember there is also an amazing prize from the generous sponsors for this group. I can't wait to see what you add in the next weeks! And lastly....in case you missed my post (of course you didn't, haha).